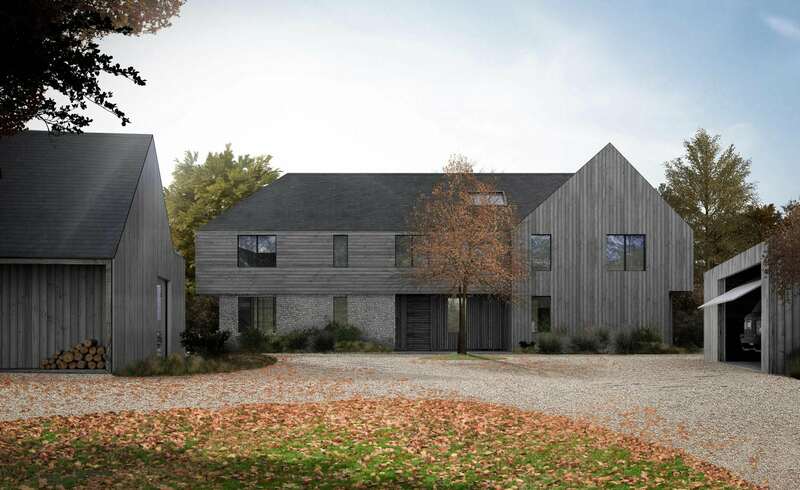 Planning was Granted in 2017 for this New Build house that sits on a 1.5 acre site, falling within the context of both a SSSI (Site of Special Scientific Interest) and an AONB (Area of Outstanding Natural Beauty). 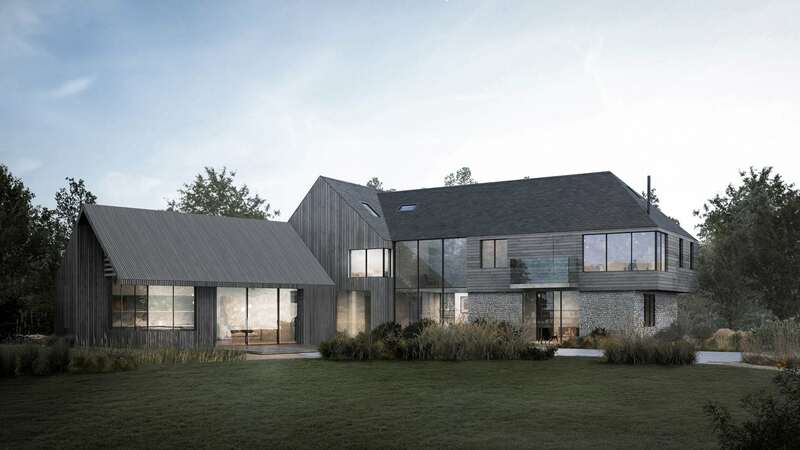 Throughout the design process both the local planners and Chichester Harbour Conservancy were closely consulted; it was remarked how the resulting approach was both “..sensitive and elegant in its design” and so was awarded Planning Permission with relative ease. The main building is formed of two parts; a two storey component anchors into the ground with a flint plinth whilst its smaller single storey sister cantilevers over a newly constructed Natural Swimming Pond. These two parts of the building are connected by a glass link which floats over water, this further detaches the single storey part of the building accentuating its uniquely intimate relationship with the site’s waterscape and nature. The inspiration for this design approach came from the Grade II Listed building Raptackle, one of Bosham’s most recognizable buildings that sits on the end of Bosham Quay. The Raptackle is a timber clad building that sits on brick piers allowing the high tide sea to pass under the building. At the heart of the main part of the house is a dramatic triple height space over the dining area with floating balconies on the First and Second Floors which take advantage of the views created by the double height glazing. To compliment the building, and to further anchor the home into its environment, a carefully considered landscaping scheme was designed to ensure the ecology of the site would thrive, encouraging the habitation of Reptiles, Newts, Bats, Dragon Flies and an abundance of other wildlife. 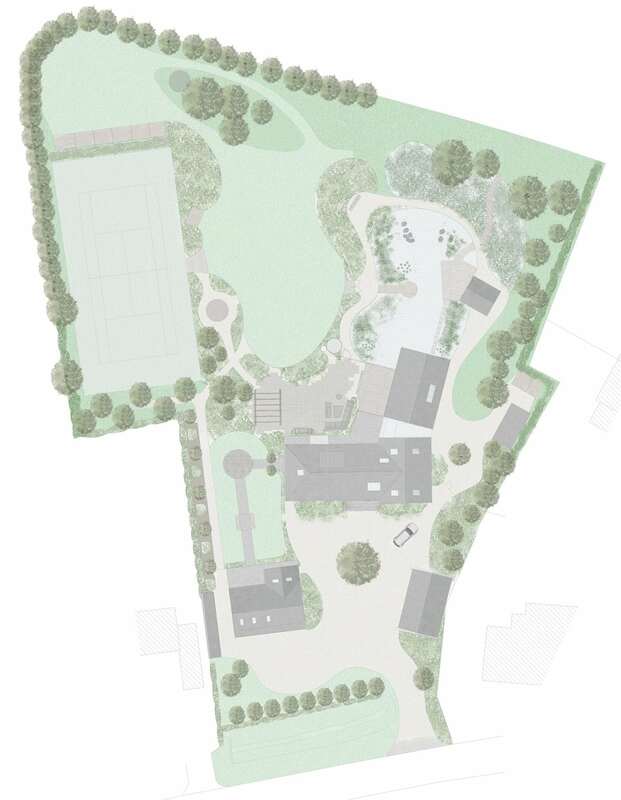 This new build will be highly energy efficient; using GSHP (Ground Source Heat Pump), PV (Photovoltaics), Water Harvesting & Recycling and Thermally High Performing Materials will be used. 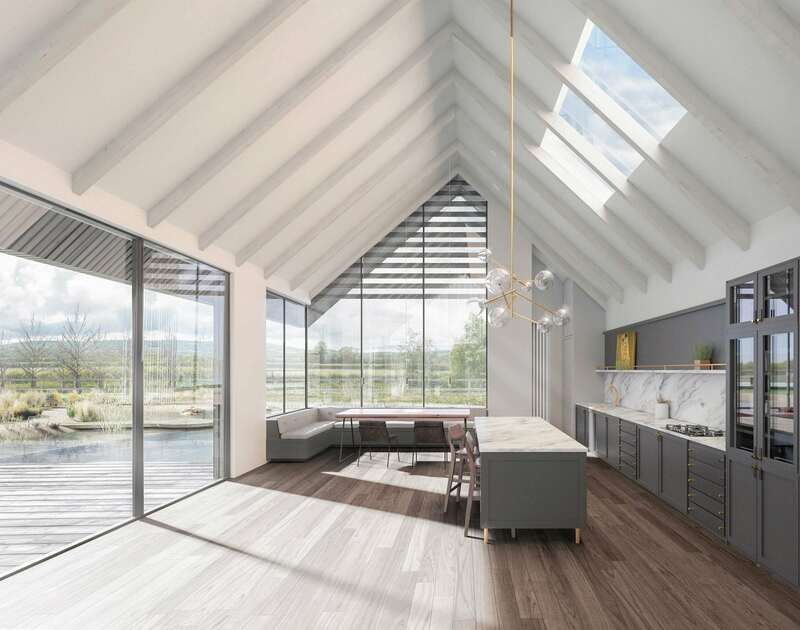 Other features of this approved application are a Pool Cabin/Sauna, Art Studio, Garage, Tennis Court, Outdoor Dining, Hot Tub and a Sculpture Trail.